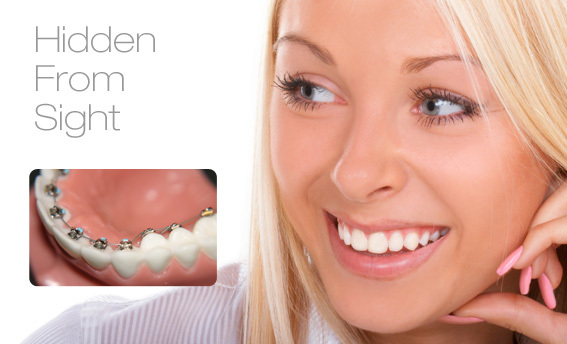 Do you want straighter teeth, but wish your braces were invisible? Lingual braces are applied behind the teeth as compared to metal and clear braces which are applied to the front of the teeth. These lingual braces are created using state-of-the-art technology and are 100% customized to the shape of your teeth and to your dental situation. With lingual braces you get efficient, effective tooth movement and great esthetics. Lingual braces are a unique choice because patients can smile with confidence both during and after treatment. Placed on the back side of the teeth, lingual braces are completely hidden from view. First of all, lingual braces are invisible. The brackets are placed on the back side of the teeth, and they are not visible from the front. Working just like traditional braces, lingual braces eventually straighten a patients teeth within the same amount of time metal braces would. Of course, each patient’s timeline depends upon the specific case. Lingual braces can significantly enhance an individuals appearance-without the self-confidence shakers of metal braces. Therefore, lingual braces are a great option for both adult professionals and teens who would feel more confident with invisibility-all while managing great dental health. Lingual braces can also be extremely convenient for those who play wind instruments or contact sports. If you can be treated with traditional braces, you are a good candidate for lingual braces. In contrast to conventional metal braces, lingual braces are 100% custom-fit to the patient, ensuring a higher comfort level. Who are Good Candidates for Lingual Braces? Lingual braces are typically desired by adult patients. Lingual braces allow you the benefit of developing a great smile correcting the bite without interfering with your appearance. Anyone who needs orthodontic care and cannot compromise their appearance during treatment will find lingual braces to be indispensable. You will be able to see your smile improve daily, since your teeth are not obscured by braces in the front. What about Soreness and Hygiene? Soreness of the tongue usually lasts for a few days. Frequently salt water rinses help avoid discomfort. It is vitally important for you to maintain good oral hygiene and since the lingual braces are very closely contoured to your teeth, it is much easier to maintain oral hygiene compared to traditional braces. 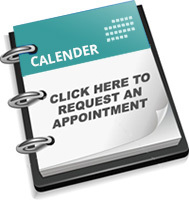 Regular checkups by your family dentist are recommended during the orthodontic treatment period. How Will it Affect My Chewing and My Speech? Most patients find that it takes a week to completely get used to the lingual braces. The adjustment period is the same as the traditional braces. In fact, patients who have switched from traditional braces to lingual braces mid-treatment, find lingual braces easier to get used to then traditional braces. You will be aware of your tongue coming in contact with the braces. Difficulty is sometimes encountered with the ”s” or “sh” sounds, initially. However, most patients have found that their tongue naturally adjusts to accommodate the lingual braces and speech returns to normal within a few days.